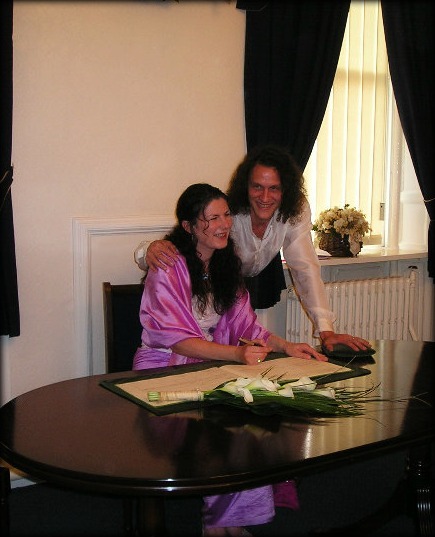 On Friday July 29th 2005 I married The Man. It was not a typically traditional wedding in many ways and probably an event that consisted too much of stable doors and bolting horses for wedding purists. 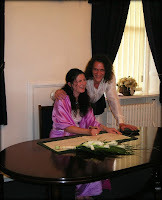 Anyway, it took three months to arrange our wedding which wasn't an extravagant affair by many standards. My wedding dress was a length of sari silk worn sarong style, a white beaded basque from eBay and stars in my hair. Total cost? Seventy quid. 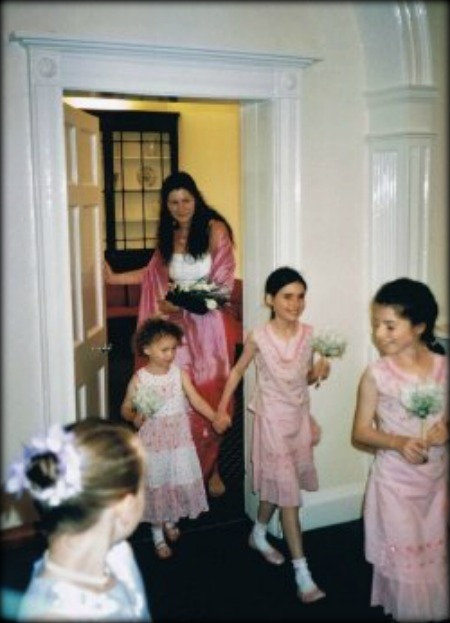 I, and my three daughters, carried flowers that the local greengrocer refused to charge me for. The Man meanwhile in search of a wedding suit came back with a guitar and a can of deodorant. He was eventually wrestled into a shirt (cream, silk and mine) and trousers (bespoke, Italian *rolls eyes*) in time for the wedding. I walked down the aisle, if aisle it is in a registry office, to Led Zeppelin's "What is and What Should Never Be." Not the first song that springs to mind for a walk down the aisle admittedly. The bit in between still remains slightly hazy but we got a certificate for it so we must have done it right. 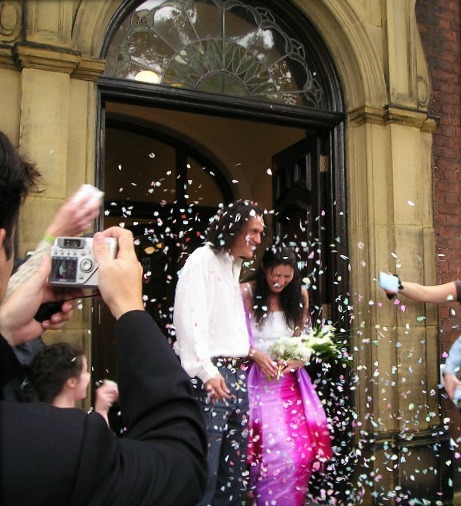 Then, like Elvis, we exited the building to be greeted by people throwing things at us, our minuscule guest list having been swollen by my fellow school gate mums offering either support or sympathy via the medium of confetti. Then we went to pub. Obviously. .. which was unexpected, barefoot, in a park, in front of a pair of thousand watt speakers and three other people about midnight. What were your wedding songs?